Show support for your favorite celebrity or athlete with a high quality photo! 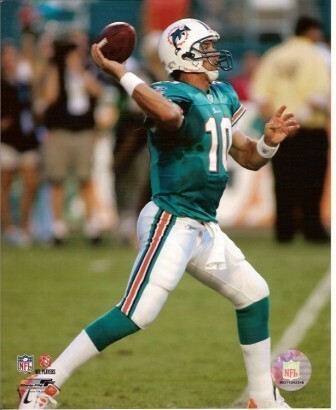 This 8x10 features Dolphins quarterback Trent Green, and will look great displayed in any fan's home or office. Check out related items below to add a wood plaque with acrylic cover to display this great picture, or have it professionally framed and matted by Collectibles of the Game. Many other photos available, including movie stills, actors & actresses, musicians, athletes, and more!